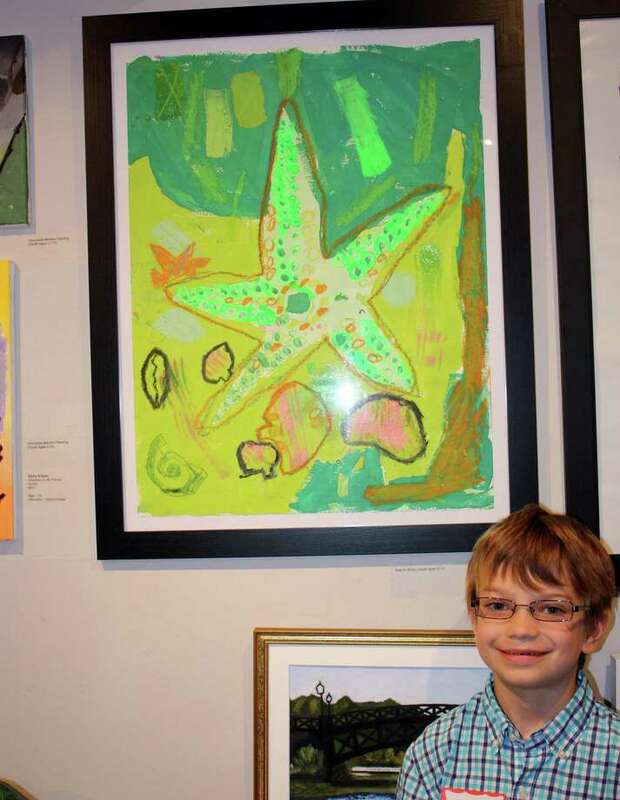 Soren Covell was awarded Silvermine's Best in Show award (ages 5-10) for his work ìGrass Green Starfish.î New Canaan, Conn. There was a large turnout for the opening reception and awards ceremony for the 22nd annual Juried Student Exhibition of the Silvermine School of Art in New Canaan, with more than 250 people attending. The event took place on Sunday, June 24 with the awards presented by School Director Anne Connell. "This juried exhibition is open to all students of the school and for all ages, from youth to adult," she said. "It's a wonderful opportunity for everyone to share in recognizing the hard work and achievements of each of the award winners and for the general public to view the fine art and creative energy that is generated by the student body." The student exhibition is on view through July 26 in the Silvermine Galleries. This year's juror was Nathan Lewis, assistant professor of art at Sacred Heart University.